Alpha-Zeta Chapter of Sigma Alpha Epsilon at Penn State - Gearing up for THON 2016! 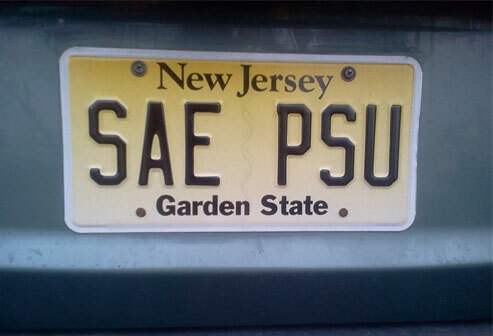 Sigma Alpha Epsilon is looking forward to 2016 and making THON our most successful yet! The Four Diamonds Fund Provides the ability to offset the costs of cancer treatment not covered by insurance, taking the pressure off the families. Additionally, the fund hires world-class medical specialists as part of its cancer-fighting team, including child life specialists and clinical nutritionists. The fund has also established multiple research endowments that impact children across the nation, including a research program that will allow for Phase I and Phase II clinical trials, bringing us one step closer to a cure. It is this type of care and research that has ranked Penn State Hershey Children’s Hospital one of the best in the country for cancer care by the U.S. news and World Report Best Children’s Hospital Rankings. Thanks to THON’s donors, we are making a difference in the lives of children and families, taking more steps toward a cure! Watch our monthly eLetters for more information on THON 2016 and prepare to make your donation to help a family in need!